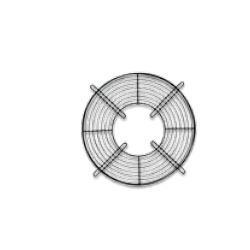 Our company deals in the supply, trade, distribute and export of Fan Accessories such as Aluminium Blades, Bracket, Plastic Impeller, Basket Grill and Wall Ring. These accessories are useful for various purposes and could easily be handled. In addition to this, these accessories are engineered with perfection and are fully customizable. Finally, these accessories are obtainable at leading industry prices. We are a prominent company which deals in the supply, trade, distribute and export of Fan Grill. Designed to be used for long period of time, these basket grills consist of topnotch components which not only enhances its performance but also improves its life span. These are primarily used for the purpose of grilling vegetables. Finally, these basket grills are offered at suitable prices to suit the pocket requirements of our beloved clients. Trusted supplier, trader, distributor and exporter of Snap Type Air Vent, we have become brand name in the industry. These air vents are renowned for its exceptional functional lifer and give topnotch performance for years. Delivered to perfection, these air vents have ABS as its material and are available in grey color. Further, these air vents are equipped with snap fits and have affordable price of 74 INR. Our company is the renowned supplier, distributor, exporter and trader of C Frame Motors. 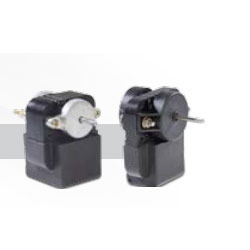 These motors have sturdy construction and are best suitable for heavy duty. Furthermore, these motors are manufactured by our highly experienced experts who have enough knowledge of this field and with latest technology. In addition to this, these are offered at reasonable prices to our dear customers. Looking for Fan Accessories ?